Greg Clark | Students are encouraged to donate a meal swipe at the dining hall in order to fight against food insecurity. “Share a Swipe of Hope” is a new program at the University of Rhode Island that gets students involved in helping to combat food insecurity. Dining Services has come up with this program based off of similar programs that have been implemented in the region and at other universities. Students can donate one guest meal swipe a semester that will then be allocated to another student suffering from food insecurity. 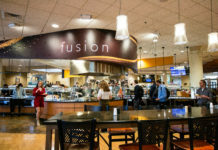 “Share a Swipe of Hope” not only allows students on the plus or premier dining plans to donate one of their guest swipes, but to do so while simply swiping into the dining hall. Pierre St-Germain, the director of dining services, said the process of participating in the program is simple. 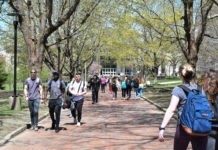 “Students can go to either of the dining halls or to the ID services office and they can say that they want to donate a meal,” St-Germain said. 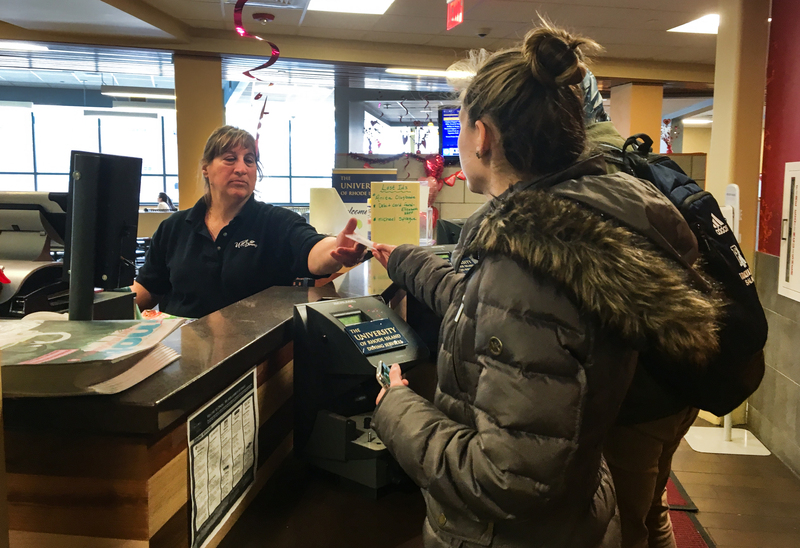 A student first tells the employee working the register at Butterfield or Mainfaire that they would like to donate a guest meal to the “Share a Swipe of Hope” program. The donated swipe will then be put into a bank of swipes that can be allocated to food insecure students. It is also just as simple to seek out access to this program if someone is food insecure. All anyone needs to do is go to the Dean of Students office on the third floor of the Memorial Union and register that they are suffering from food insecurity. This can mean a student is eating one meal a day or is not able to eat a proper meal for multiple days. Food insecure students who receive meal swipes from this program will be able to swipe into the dining halls just like any other student on a meal plan. Dr. Jacqui Tisdale, the assistant director for outreach and intervention at URI, can be sought out by food insecure students in need of assistance. Tisdale is located in the Dean of Students Office. Although the program only officially launched on Jan. 28, it has already been put to use. By Jan. 31, which was only three days into the program, 82 meal swipes had been donated and 10 food insecure students have applied to receive aid from the program. Of those 82 swipes, 40 were allocated to four URI students. St-Germain is aware this program does not solve food insecurity, but is a step to fighting the problem on campus.